John Riley reviews the new Tamron 24-70mm G2 lens, for full-frame Canon and Nikon DSLRs, with Vibration Correction. 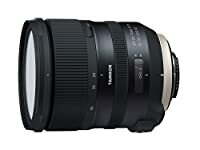 From the range of SP (Super Performance) full frame lenses from Tamron, the new 24-70mm f/2.8 G2 is a wide to short telephoto standard zoom with a bright (fast) constant aperture. 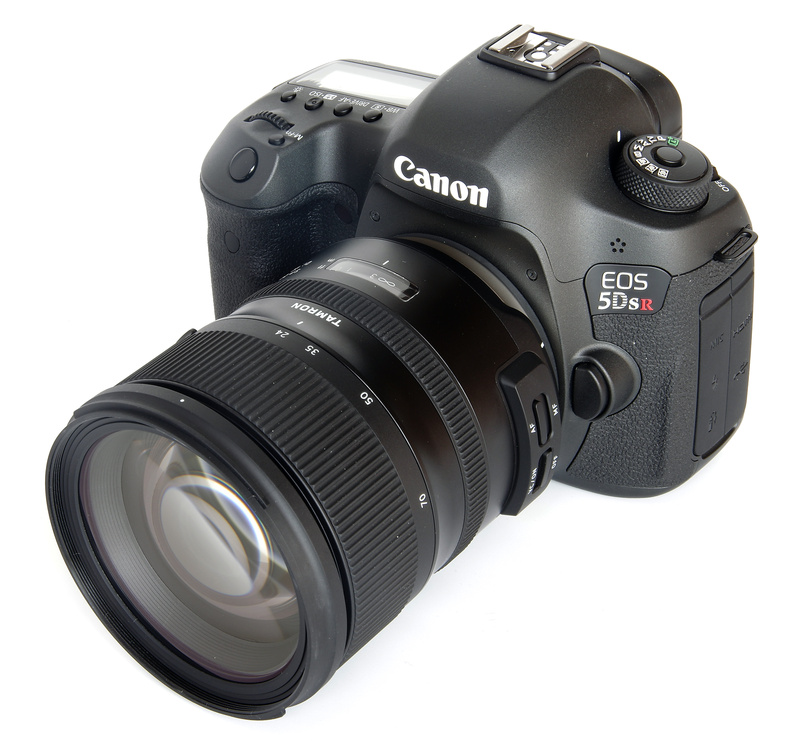 The new lens is reviewed here using the 50MP Canon EOS 5DS R. Let's see what the new lens has to offer and how well it performs and handles. At 905g (Canon fit) or 900g (Nikon fit) the lens is hefty, but it does balance well on the Canon 5DS R used for the review. There is a provided petal lens hood, complete with locking catch for extra security. This surrounds an 82mm filter thread. Immediately behind this is a generously sized zoom ring, clearly marked with various focal lengths. A locking switch operates at 24mm to ensure the lens does not extend during carrying. There is no real tendency for this to happen whilst the lens is new, but perhaps with use, it will prove a useful feature. There is a thin manual focusing ring that also operates in AF mode to enable fine tuning of the focus position. Focusing is down to 0.38m (15 inches), a useful maximum magnification of 1:5. The lens length does not change during focusing, thanks to the IF (Internal Focusing) design. The length does extend when zooming. Closest to the lens mount there is a distance scale under a small window, marked in feet and metres. There is no depth of field scale. Two switches on the lens barrel control AF/MF and VC (Vibration Compensation) on and off. Optically, we have 17 elements in 12 groups. There are 2 XR (Extra Refractive Index), 3 LD (Low Dispersion), 1 Hybrid Aspherical and 3 Glass Moulded Aspherical elements. The diaphragm comprises 9 rounded blades. There is a fluorine coating on the front element to repel moisture and dirt. Applied also are comprise Tamron's eBAND (Extended bandwidth and Angular-Dependency) and BBAR (Broad-Band Anti-Reflection) coatings. There is also moisture resistance, always a useful, if not essential, feature. Updating the lens firmware is simplified by compatibility with Tamron's TAP-in console, available as a separate item. This also enables focusing adjustments to be made. The VC system is claimed to offer a 5 stop advantage in terms of usable shutter speed, for reduced camera shake and sharper images. Advice is to switch off VC when using a tripod or other stable support. There is also the Tamron 5-year guarantee, a generous period of time. Sharpness is impressively even across the frame, something also noted when reviewing a similar lens from Pentax. At 24mm, central sharpness is excellent from f/2.8 to f/8, very good at f/11 and f/16 and softening as we move to f/22. The edges start off as very good at f/2.8, becoming excellent from f/4 to f/8, very good at f/11, still good at f/16 but softening at f/22. 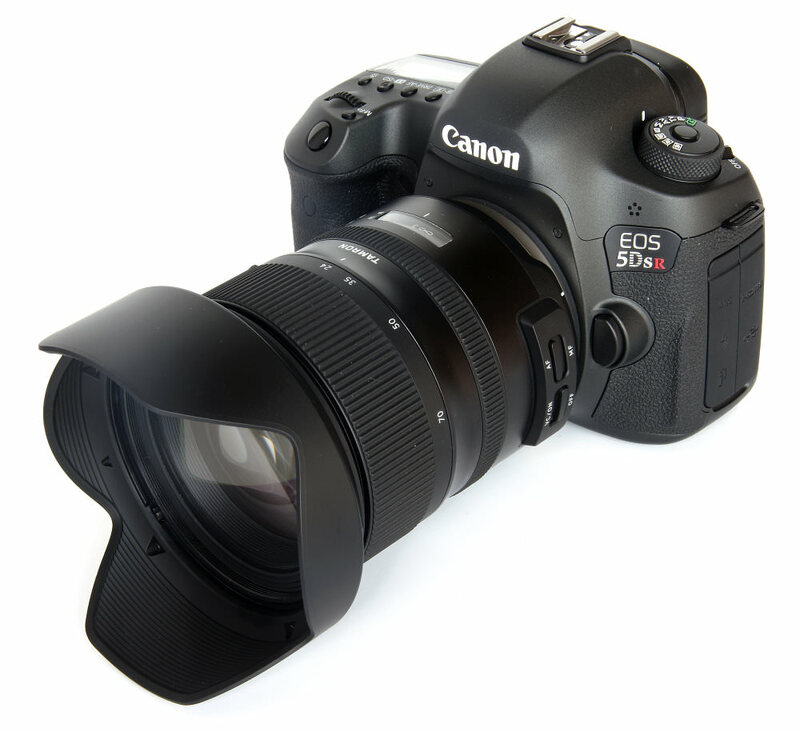 At 35mm, central sharpness is excellent from f/2.8 to f/8, very good at f/11 and f/16 and soft at f/22. Edges are very good from f/2.8 to f/11, good at f/16 and again soft by f/22. A similar pattern is seen at 50mm, with excellent central sharpness from f/2.8 to f/8, very good levels of sharpness at f/11 and f/16 and a fairly soft image at f/22. Edges are a little more sluggish, being fairly sharp at f/2.8, but becoming very good from f/4 to f/11. f/16 is good, but f/22 softening. 70mm sees central sharpness being very good from f/2.8 to f/16, becoming soft at f/22. The edges are somewhat softer at f/2.8 to f/5.6, becoming good at f/8, very good at f/11, good at f/16 and soft at f/22. CA (Chromatic Aberration) is virtually banished at the centre of the frame, at all focal lengths. The edges do show some fringing, but this can, of course, be corrected using software if required. Distortion is a very obvious -3.42% barrel at 24mm, reducing to an almost perfectly rectilinear -0.11% by 35mm. We then move into pincushion distortion, measuring +1.04% at 50mm and +1.49% at 70mm. This is pretty good for a zoom lens and can be further corrected in software where needed. Flare resistance is excellent, not proving to be a problem in any of the against the light shots. The 9 bladed circular diaphragm also performs well in terms of pleasant bokeh. The gradation of out of focus areas is very smooth. Testing out the VC system, it was found that certainly, a 4 stop advantage was a reasonable expectation. This will vary according to the photographer and the conditions and is very useful in helping to keep image sharp in lower light levels. Overall, we have a well made, smoothly operating fast standard zoom lens, with a very well balanced set of optical and mechanical properties. 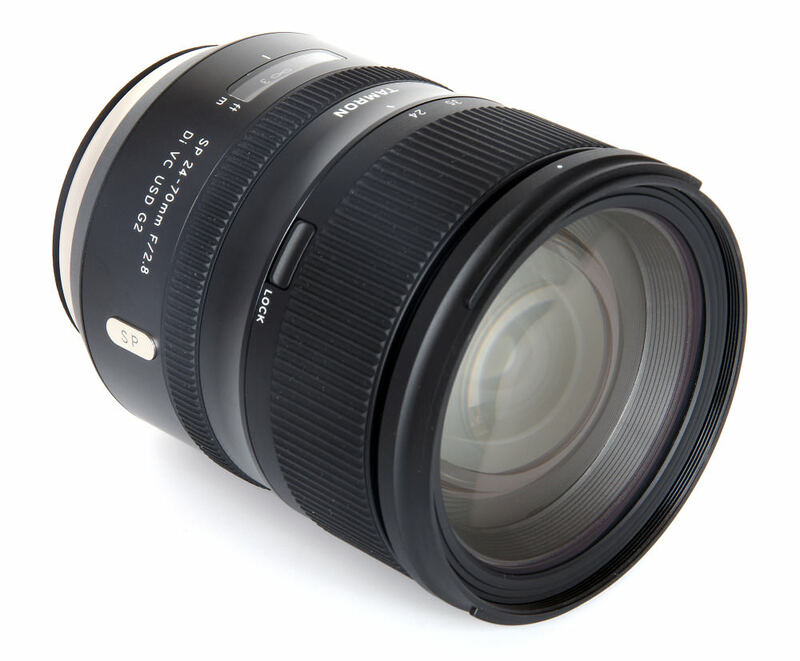 The Tamron 24-70mm f/2.8 Di VC USD G2 lens is priced at £1249. This is available for Canon and Nikon users, but for the sake of comparing what all marques offer their users, we can find the HD Pentax-D FA 24-70mm f/2.8 ED SDM, a remarkably similar lens to the Tamron, at £1149. 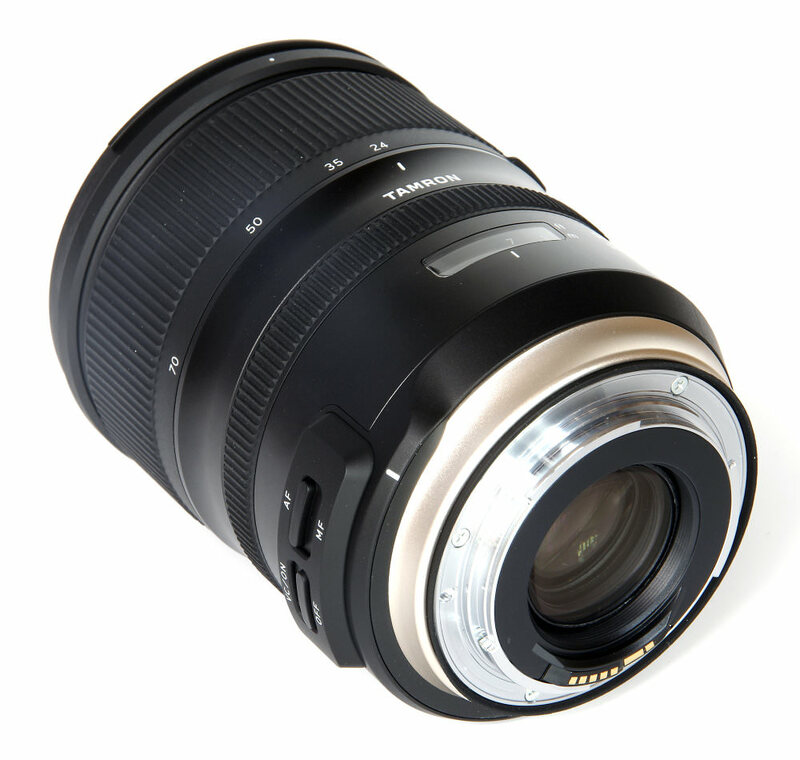 For Sony E mount users, there is the FE 24-70mm f/2.8 G Master lens at £1899. Sigma has the 24-70mm f/2.8 DG OS HSM Art lens (£1399), Canon offers the EF 24-70mm f/2.8 L II USM (£1699) and Nikon the 24-70mm f/2.8E AF-S ED VR (£1899) and 24-70mm f/2.8 G AF-S ED (£1549). Finally, there is the Tokina 24-70mm f/2.8 AT-X PRO FX at £949. The new Tamron G2 lens sits well placed in terms of VFM, but those seeking a bargain could also look for the previous Tamron SP 24-70mm f/2.8 Di VC USD at £749. 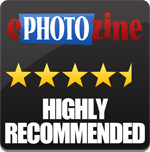 For more options have a look at the Top 12 Best Tamron lenses. A very evenly balanced, excellent standard zoom lens. With thanks to Clifton Cameras who provided the Canon EOS 5DS R used for testing. A little underwhelmed with this report,I have had it now for about a week and find it a superb lens,the VC is spectacular,I have had 2 previous G1 versions and in every way the G2 is much much better. The build quality,smoothness of operation and most importantly much sharper,a lovely lens.